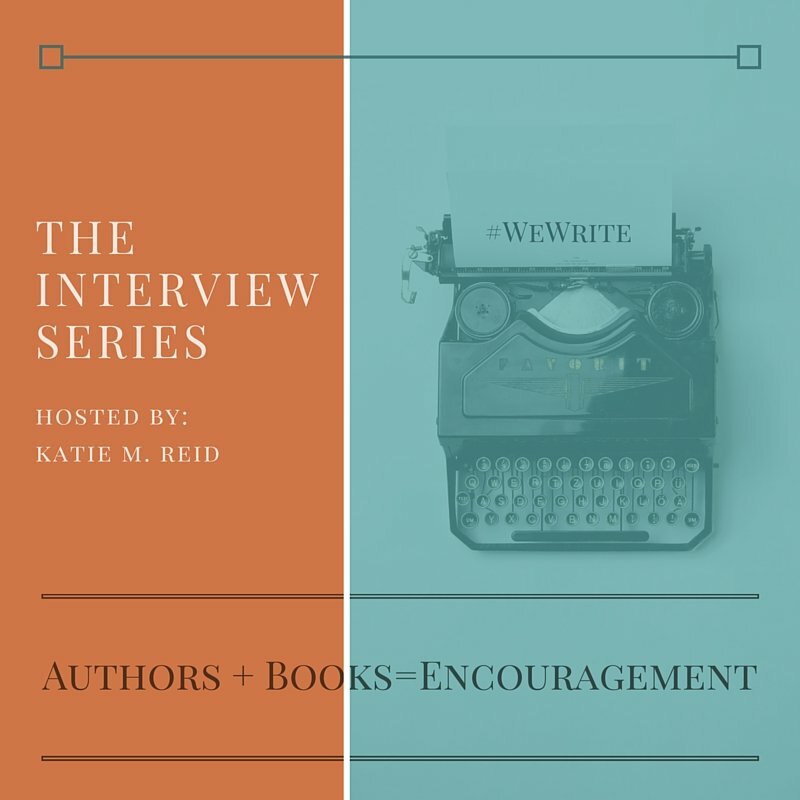 It is a joy to connect you with my writing friends via the Author Interview Series. Our goal is to showcase resources that may be of interest to you or your friends, as we find grace in the unraveling, together. Both of the authors featured in this interview have been a part of the series before, but they are back because they have co-authored a book called: Influence: Building a Platform to Elevate Jesus (Not Me). This book is designed to help Christian speakers, writers, and leaders navigate the tricky world of social media and platform building, without losing their soul in the process. Is there a way for ministry leaders, speakers, and authors to gather followers and still follow Christ? Is it possible to build up stats and still take up crosses? Is there a way to raise Google ranks and still elevate Jesus? Authors Kate Motaung and Shannon Popkin have come to the strong and happy conclusion that there is a way. 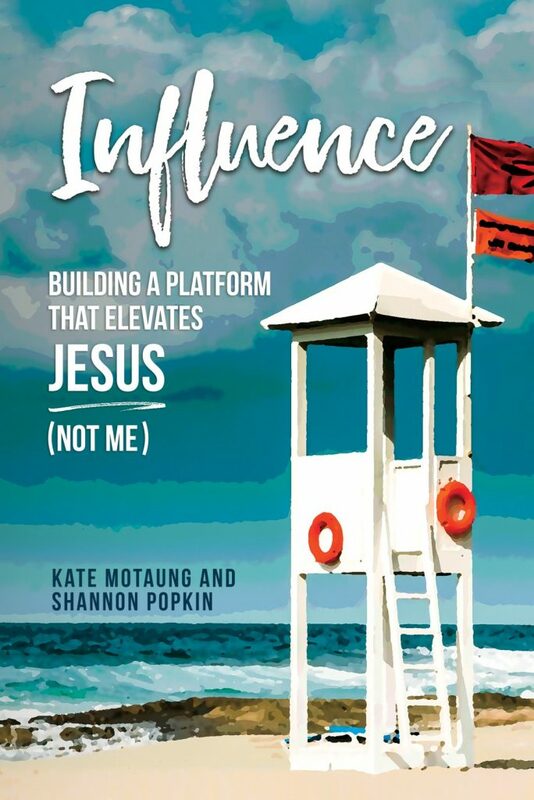 In their book, Influence: Building a Platform to Elevate Jesus (Not Me), they encourage fellow communicators to consider what it means to influence others in today’s noisy, digital world as uncompromising followers of Jesus. Q: The title of your new book is Influence: Building a Platform to Elevate Jesus (Not Me). What is the tension that Christian influencers—whether writers, speakers, or ministry leaders—face as they seek to build a platform for ministry? As recently new authors, both of us have faced the task of creating a “brand” and getting our messages out into the noisy world, where everyone is fighting to be heard. We both know what it’s like to step out onto a tiny platform with a big desire to please Jesus. As Christians we have struggled with the moral dilemma of building a platform to lift ourselves up, when Jesus taught us to humble ourselves and exalt God. Q: Today, it’s fairly impossible to influence anyone without operating online. How has the new “digital universe” created both new opportunities and new challenges for the Christian influencer? Spreading truth and light has never been more possible. Also, branding yourself and selling your ideas has never been more possible. And those two become more mingled than ever before. The digital world is filled with links. With every bit of truth you toss out, there’s a link back to you. Your bio. Your social profile. Your website. And every time a link is clicked, you know about it. The clicks become tally marks; they are a way to keep score, or measure your influence. What once was your untainted passion to serve and share and give becomes murky and contaminated with the desire to receive affirmation and recognition. Beneath efforts to serve Jesus is a powerful undertow of desire to serve yourself. We want influencers to be aware and on guard, so that they can stay true to their original purpose. Q: Shannon, you encountered a crazy driver on the highway. How did this driver model the sort of self-forgetfulness that Christian influencers must have in our noisy world of ideas? I was driving on the highway one day when I was startled by a driver in the lane next to mine who was honking and waving wildly. I thought, “I’m just driving in a straight line, minding my own business. Why can’t he leave me alone? I feel a little wary about people who make a lot of noise on digital media, the same way as that driver. I think, “What is this crazy person’s problem? Why can’t he leave me alone?” That crazy highway driver, however, was not about to leave me alone. He kept honking and waving until I glanced over, then said, “Dad?” My dad had chased me down on the highway because I forgot something that he knew I needed. Once I realized this, I now saw that “crazy driver” as a kind, and deeply considerate person. He was completely unconcerned about disturbing my peace or calling attention to himself because he knew that he had what I needed. He was actually being selfless as he made all that noise. And so it is when we share good news about Jesus in the noisy world of ideas. Q: Pride can sometimes be viewed as one of those “respectable sins.” Why do Christian influencers need to be careful about the presence of pride in their hearts? The digital world has programmed us to crave praise and positive attention. We log into our social media accounts and get an instant boost when we see that others have liked our posts. We’ve become obsessed with selfies and of publicly documenting our accomplishments for the sole purpose of gaining praise. But is this the way God wants us to live? Consider how God responded to the builders of the Tower of Babel, who intended to “build a name for themselves.” If God didn’t tolerate their pride, certainly He won’t tolerate ours. Rather than building a name for ourselves, our purpose must always be to lift up God’s great Name. Q: Kate, you had quite a dramatic shift in your platform-building perspective. Could you tell us about it? For a long time, I thought of platform building as an obligation or a requirement in order to be published. Then one day my eyes were opened to a new perspective: Instead of viewing platform building as a way to serve myself and my own goals and interests, I can view platform building as a way to serve others. When I make this shift in my focus and intentions, my entire attitude about social media and platform building changes for the better. Now, instead of seeing it as a rigid requirement necessary for growth and success, I can see it as an amazing opportunity to be a blessing to others, to lift others up, to meet new friends, to help and encourage people, to spread hope, and ultimately to glorify God with the gifts I’ve been given. Q: Does Influence include any additional resources for group discussion purposes? Yes! We’ve included a complete discussion guide at the back of the book to guide and assist group leaders. We believe one of the ways in which we can grow in this area and safeguard against temptations like pride and comparison is to surround ourselves with likeminded people for encouragement and accountability. We encourage writers, speakers, and ministry leaders to get together with a small group of individuals to work through the topics of this book together, making use of the Scripture memory verses and group discussion questions included at the end. Kate Motaung is the author of A Place to Land: A Story of Longing and Belonging, A Start-Up Guide for Online Christian Writers, and Letters to Grief. 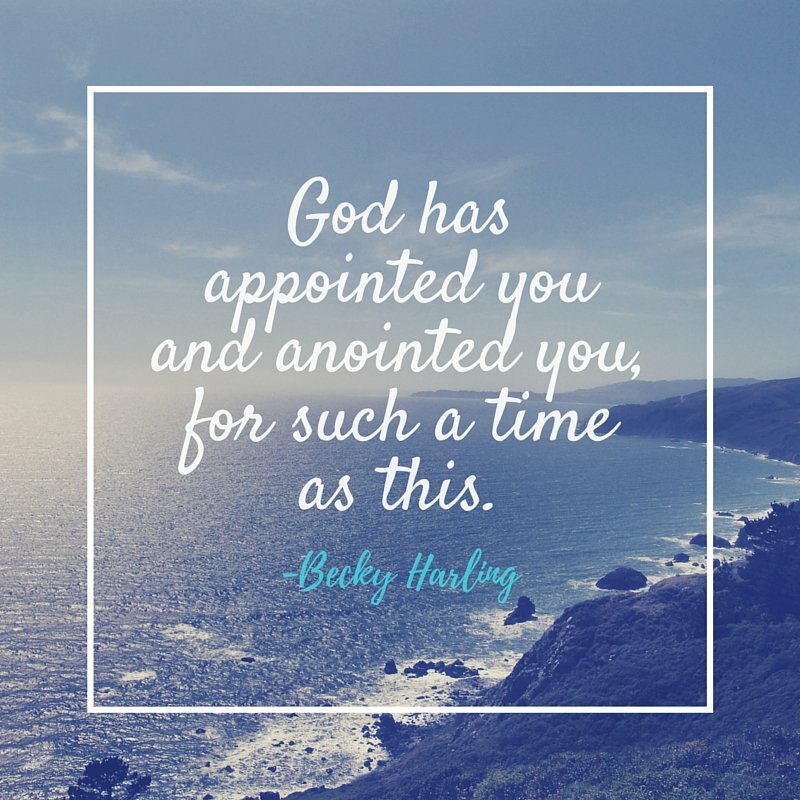 She is the host of Five Minute Friday, an online community that encourages and equips Christian writers. Kate and her South African husband currently live in West Michigan with their three children. 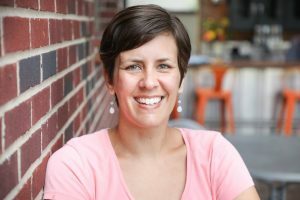 Shannon Popkin loves to blend her gifts for storytelling and humor with her passion for God’s Word. 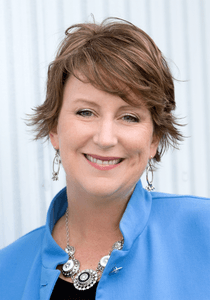 Shannon is the author of Control Girl, and speaks for Christian women’s retreats and events. She is a blogging contributor at Revive Our Hearts. Shannon has been married to her husband, Ken, for 22 years and together they live the fast-paced life of parenting two college-aged kids and one high-schooler in Michigan. Connect with Shannon Popkin by visiting www.shannonpopkin.com, or following her on Facebook, Twitter, or Instagram. Thank you to Shannon and Kate for taking the time to share about their new book. Each month we will continue to feature an author and new book. Happy Reading! P.S. There is still time to sign-up for the Made Like Martha Online Bible Study. Our study starts on Tuesday, January 15th. Sign-up via this form. Thanks so much for sharing, Katie! Grateful for your encouragement and support. You’re welcome, Kate. Thank you for your and Shannon’s hard work in writing Influence! Such a needed topic! I’ve been mulling this topic over a lot lately. There’s so much ministry needed all around me and I don’t want to miss it creating the perfect Instagram. Love the driving story!